and there is a refreshing,” new beginning” song, and fragrance of Spring in the air. made for the occasion as were most of the” for real’ gowns in our collection. stand-up collar on a high neck. Eighteen small velvet buttons secure the front closure. hem. The skirt back is pleated and gathered into a fullness to accommodate a bustle. There is a concealed pocket in the bustle area. The entire gown is completed lined. couple lived in Providence when they had a son, Daniel R. James born January 6, 1886.
idle since the day his wife, Marie Viola Lord died in August 1947.
way to the farm that no longer exists: Stilson Road. 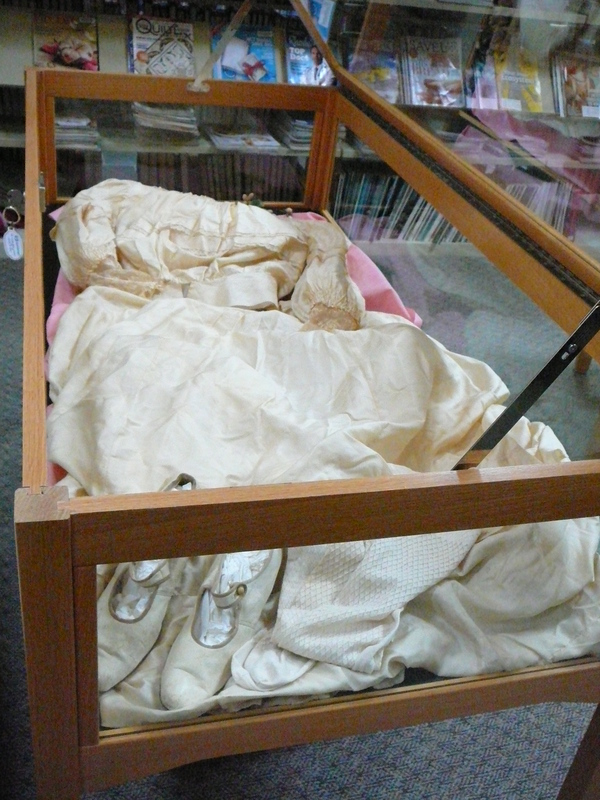 This gown can be viewed in the display case at the Clark Memorial Library during libraryhours the first couple of weeks in June. grand children give some insight into life in 20 century Richmond. about 1710 by unknown early settlers. It was an impressively large two story farm house. having been added about that time. was a lot easier for preservation of farm gown producing including chickens. many of the modernization projects in the house. credited with shooting down a Masserschmidt. After the war he returned to the farm. relatives in Newington/New Britain where he went to a trade school for auto mechanics. 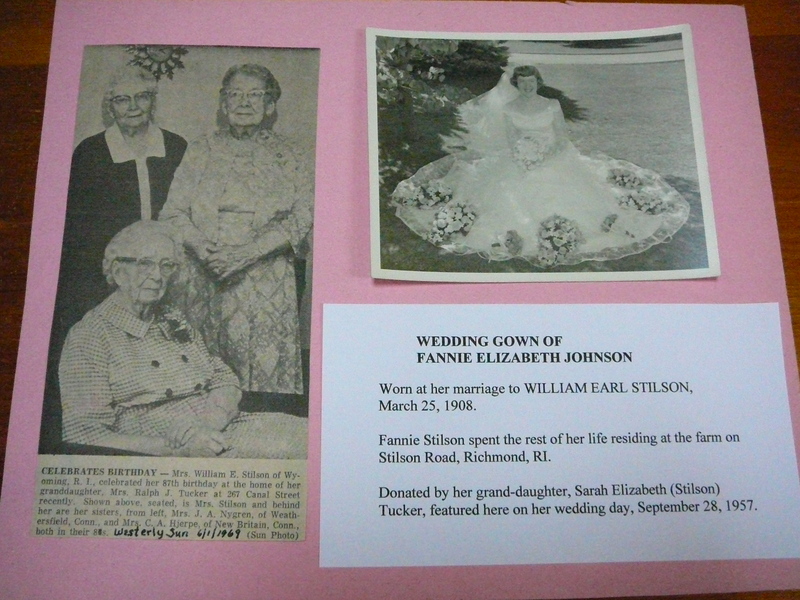 bouquets spaced along the hem of her skirt two generations later.